To find out if you’re ready for test day, you need to predict your GRE score. But how do you predict or calculate your GRE score? To get an idea of what your GRE score might be, there are a number of things you should consider. How is GRE scored for Verbal and Quants? GRE raw score conversion! The GRE Verbal and Quantitative sections are scored based on raw scores for the test. Your raw score is the number of questions you answer correctly. GRE Verbal has 40 questions, as does GRE Quants. So the highest raw score you could get in either section would be 40. These 40 raw score points correspond to the 40 point range for official scores on the Verbal and Quantitative sections. Both of these sections are rated on a scale of 130-170 points in the final score report. However, your raw score won’t be exactly the same as your final official score. This is because ETS will adjust the points you earn for certain questions based on the relative difficulty of the questions. If an above-average number of students incorrectly answer a question that’s on your exam, ETS will rate that question as harder-than average. Correct answers on these harder questions will be worth extra points in your final, official score. In other words, your official score will be adjusted from your raw score based on difficulty. But the adjustments will be relatively small; differences in Quants and Verbal questions are pretty minor. How is GRE scored for AWA? The two essay questions on the GRE’s Analytical Writing Assessment aren’t simply “right” or “wrong.” So you won’t get a raw score that corresponds to a 40-point score range. Instead, GRE AWA essays are rated based on a rubric. The rubric’s score range is 0 to 6, and scores are calculated in half-point increments. Instead of being adjusted for relative difficulty, AWA essay questions are adjusted for differences between multiple scorers. Each AWA essay is given to a human scorer. At the same time, the essay is also submitted to a computer scorer– ETS’s e-rater scoring engine. If the human score and the computer score for an AWA essay are similar, the final score for the essay will be an average of the human and computer scores. However, if the e-rater score is is a lot different from the human score, a second human scorer will step in and give the essay an additional rating. In that case, the essay score will be the average of the two human scores. Your score for the AWA section as a whole will be the average of your scores on both the Issue essay and the Argument essay. As you’ll recall, the adjustments that ETS makes to Quant and Verbal raw scores are small adjustments. This means that raw score conversion is a good indicator of the adjusted score you’d get on the real exam. To give an example, suppose you get 30 questions right out of 40 in a practice GRE Quants section. Based on this raw practice score, you can predict a real GRE score of 160 for Quants… give or take a few points. For AWA, predicting your score is a little more complex, but it can be done. You can self-assess your essays by consulting ETS’s AWA Issue Task, and Argument Task scoring guides. But sometimes self-assessment isn’t enough. It can be hard to look at your own writing in a clear, objective way. To predict your GRE score for AWA, get some assistance. 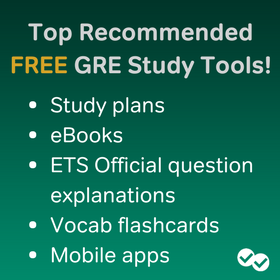 A teacher, a study buddy, or a GRE forum can help you gauge your practice AWA performance. Be careful though. Any prediction of your GRE score should be based on repeated, consistent testing. Don’t just base your prediction on your raw scores for just one practice test. To accurately predict your score, take multiple GRE practice exams. And be sure to take exams that are accurate to the real GRE. The most reliable practice comes from ETS itself. You can get two official practice GREs for free from ETS’s Powerprep II website. I also recommend the GRE Official Guide, which has an additional four practice exams. As part of Magoosh’s GRE product, we offer a score calculator to help you predict your test day GRE score. Using customer data, we’ve been able to build a system that predicts your score even more accurately than GRE raw score conversion or AWA rubrics. We send a short survey to our customers after they take the GRE to get feedback and ask our users what their final GRE score was. We always receive a lot of responses to our survey. We go through all the responses and compare our customers’ actual GRE scores against their performance on Magoosh. Here’s a graph of partial results for both math and verbal. Not surprisingly, there’s a very high correlation between students’ performances on Magoosh and their actual scores. This correlation is the primary basis for the GRE score predictions we give to our users. We also do additional analysis on the number and difficulty of the questions answered, for even greater accuracy. How do I view my estimated GRE score in Magoosh? Premium members of Magoosh can see the score predictor on their Dashboards (see the image below). We provide a 5-point range per section. You need to answer at least 50 questions per section to get a score estimate; the more questions you answer, the more accurate the predictor will be. And to truly get a a test-like experience you can set up a practice test. 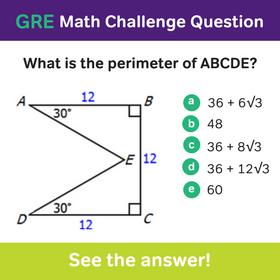 We’d love to hear what you think of our GRE score predictor, just leave a comment below! Then, check out our post for understanding GRE scores and see if your predicted score matches your score goals. Editor’s Note: This post was originally published in 2012 and has been updated for freshness, accuracy, and comprehensiveness. Unfortunately, it’s very difficult to predict your final GRE score just based on raw scores. This is because GRE questions have different difficulty levels, and also have adaptive changes to level form one section to the next. Sorry I can’t provide you with a concrete number. 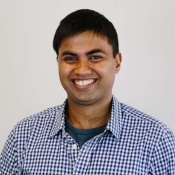 If you want an instant GRE score prediction that’s accurate, I recommend taking the PowerPrep II practice tests that Bhavin linked in the article above. my raw score in verbal is for the first section is 9 and the second is 6 and in quant its is 15 and 17 how much is the score on 340? Is the mark affected by the time you submit your answer? For instance, if I finished all math questions in 15 minutes but get one question wrong, is there a probability I score a higher mark than the case where I check my solutions for another 15 minutes and submit a all-correct version after 30 minutes. There aren’t extra points for finishing more quickly on the GRE, nor is there a penalty for getting through all the problems at a slower pace. Take the time you need! As long as you stay within the maximum time limit for each section, your score won’t be affected by your pace. But I saw a “Your average pace” versus “Other’s average pace” section in the graph posted in this article. Is there a purpose for it or is it immaterial? This chart is an analysis you receive on your dashboard when you have a Magoosh premium account. We show students what their pace is compared to their peers. This does not affect your scores, but provides you with helpful information on how you compare with your peers. For example, perhaps all your peers finish a specific problem in 50 seconds, but you take 2 minutes. This means that either you’re not completing the problem with the most efficient approach, or you struggle with this concept. Regardless, the speed does not affect your score, unless you cannot complete a section. I currently have finished the first 50 verbal questions, and scored 144-149, I need at least a 150. Is this possible in a month? In response to one of the queries you mentioned that Magoosh score predictor does not take pace or difficulty into account. Currently, I am in a beginner level. Suppose, while answering a very difficult question, I took a long time to answer that correctly; without considering difficulty level and pacing the prediction could be misleading. As in the “practice” test, I might answer that question correctly with the cost of leaving few other questions unanswered due to unbalanced time pacing. If possible please take this as a request to take into account pacing and difficulty level to predict score. Hello! I’m studying for my test now, and I think one thing that would be useful is if you had two options to view your predicted scores – one that shows your first attempt at the questions, and one that incorporates your most recent attempt at the questions. When I first started I was getting like 75% of the quant, but then I went back and redid like 20 questions that I had originally gotten wrong, and now it’s showing my quant average at like 95%… which obviously isn’t accurate. Since this is a bit misleading about what my test-day-score will probably be, I would rather have the option to know my original (first attempt) average to see if I’ve been able to pull it up with my additional days of studying. For example, if I was getting 75% in the first couple days, but am now hitting like 90%, I’d like to see a predicted score of around 82%, rather than 92%. Hope this makes sense! me figure out if my scores on the practice tests are good or not. I took 3 practice sections so far (2 verbal & 1 math) and I scored 70% on each of them. I was kind of distracted for the math part and could have done a little better. Could you tell me what my score would be if I have a 70% average in both sections? Also, is this an average score? I don’t need amazing scores, I just want to have decent ones to get into grad school for nutrition at a state school. Thank you! Does the score predictor change every 50 questions? I’ve answered more than 100 practice questions but it doesn’t seem that my score is changing. Good question! The score predictor takes all the questions you have answered into account, so you’ll see less movement the more questions you answer. You can also take a practice test to assess your current score. The “Take a practice test” link is just above the green Math and Verbal buttons on the Dashboard. I hope that helps! In your testimonials, your students seem to agree that their score was accurately predicted in their estimated range, so clearly you are doing something very right. However, I am still curious about one thing. After taking all the quizzes in the Magoosh Math curriculum, I got an estimated score (for the first 50 questions as you mentioned). However, the quizzes are made of mostly easy questions. I began to wonder if I would see my score drop off as I continued to use Magoosh. Therefore, I ask, does the function you use to estimate the students’ scores uses the difficulty and the their average pace directly in estimating a score? Good question! You may see a bit of a drop off if you’ve only completed the quiz questions, since they are mostly easy. Essentially, the more questions you answer (across all difficulties) the more accurate your estimated score will be. For a better indication of your score, you can also take a practice mock test, using the “Take a practice test” link on the Dashboard. 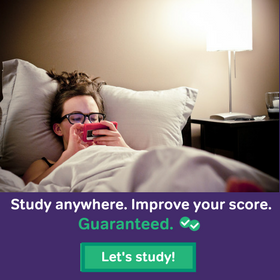 The estimated score function does not take pace or difficulty into account; however, since the mock tests questions range in difficulties and have a fixed time frame (similar to the actual GRE), they provide a better indication of actual score. The mock tests also test stamina — taking a test for 4 hours is not easy 🙂 I hope that helps!